Carol Ann Laverne Morris (born October 25, 1936) was Miss USA and Miss Universe in 1956. Morris was born in Omaha, Nebraska the only child of a minister. The family first moved to Scott City, Kansas where she attended elementary school. After moving to Ottumwa, Iowa Miss Morris attended Ottumwa High School where she graduated 4th in her class of 300. Morris was a champion swimmer and worked as a lifeguard, sang in the church choir and played the violin. Morris developed into a 5-foot 7-inch (170 cm) young lady, with blue eyes and dark brown almost black hair, 131 pounds (59,4 kg) and 36-25-36-inch (91.5-63.5-91.5) figure. The first beauty pageant she entered and won was the Miss Ottumwa contest. While attending Drake University she entered and won the Miss Iowa beauty contest. Morris then represented Iowa in the Miss America contest in 1954. Morris won the 1956 Miss USA contest that had 43 contestants and was held in Long Beach, California. She then competed and won against 29 contestants in the Miss Universe beauty pageant, also held in Long Beach. Carlene King Johnson (1933 - 1968) was Miss USA 1955. After winning the Miss Vermont USA crown, Johnson, from Rutland, Vermont went on to become Vermont's only representative (as of 2012) to achieve the title of Miss USA. Previously, she was Miss Vermont 1953 (the Miss Vermont competition is the pageant that selects the representative for the state of Vermont in the Miss America pageant). On December 21, 1957, Carlene wed Lawrence Drake. She died at age 35 due to complications of diabetes. Miriam Jacqueline Stevenson (born July 4, 1933, Winnsboro, South Carolina) won Miss USA (as Miss South Carolina USA) and Miss Universe in 1954. Her height is 5'6" (176 cm), measurements: bust - 36" (91,5 cm), waist - 24" (61 cm), hips - 36" (91,5 cm). 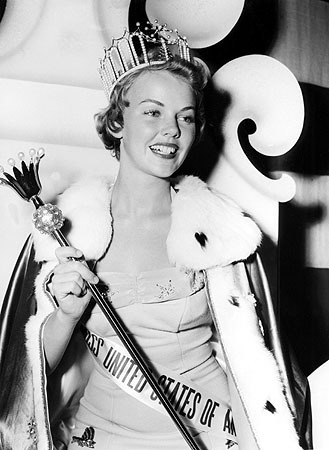 Until 1958 the Miss Universe title was post-dated, so at the time Stevenson's title was Miss Universe 1955. 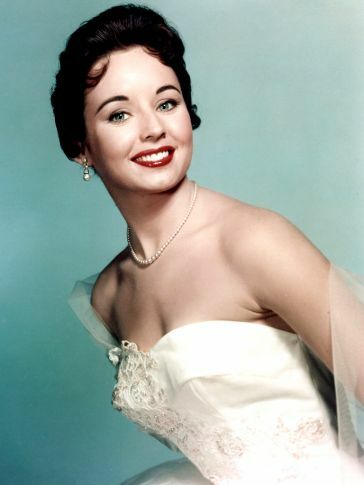 Myrna Hansen (born August 5, 1934) was actress, Miss Illinois USA 1953 and Miss USA 1953. Hansen was chosen Miss Photoflash of 1953 by the Chicago Press Photographers Association. She was entered in the Miss USA contest by virtue of winning this title. She was 5'7" (170 cm) tall and weighed 125 pounds (56,7 kg). Her measurements included a 37 - inch (94 cm) bust, 25 - inch (63,5 cm) waist, and 35 - inch (89 cm) hips. By the end of 1955 her bust had increased by an inch. Her measurements read 38-25-33 (96,5-63,5-84 cm). 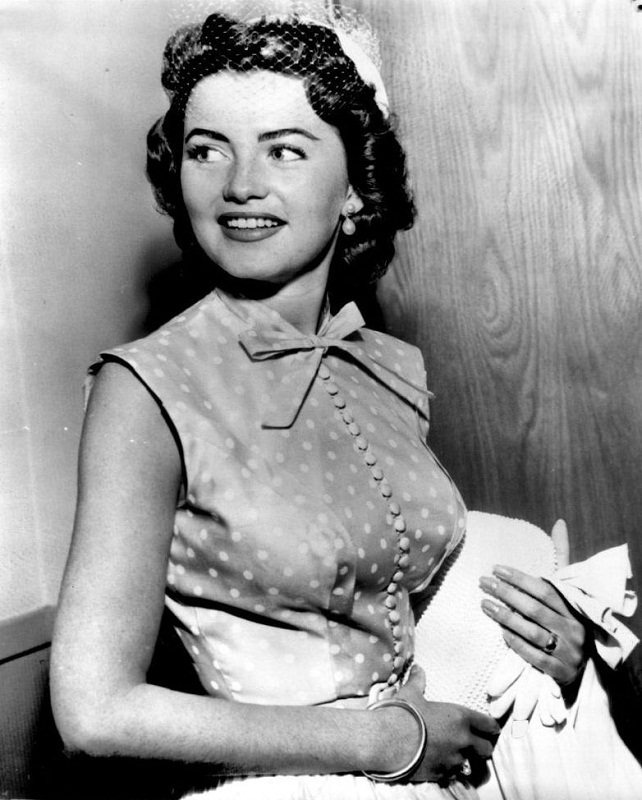 Myrna Hansen was chosen a runner-up in the Miss Universe contest of 1953. Jacqueline "Jackie" Loughery (born April 18, 1930, New York) is best known as the first Miss New York USA and winner of the first Miss USA beauty pageant, in Long Beach, California. Loughery, a red head, went on to represent the USA at the very first Miss Universe pageant, where she placed ninth. Part of her prize package as Miss USA included a contract with Universal Pictures, which led to a career in movies and television. She adopted the stage name Evelyn Avery, but is more often credited with her own name. Jackie is 5'4" (1.63 m) in height . Jackie was married to singer Guy Mitchell in October 1953. That marriage ended and she remarried, to actor Jack Webb, in July 1958. She divorced Webb in March 1964 and married her current husband, making her name Jackie Loughery Switzer (or Schwitzer); they live in Encino, California. Olivia Culpo (born May 8, 1992, Cranston, Rhode Island) - Miss USA 2012 and Miss Universe 2012. Her father is of Italian descent and her mother is of Irish and Italian ancestry. Culpo is a cellist who describes herself as a nerd and aspires to be more like Hollywood icon Audrey Hepburn.